Local 71 Members are Hard Workers, and Good Neighbors. We're partnering with American Red Cross - Alaska to "Sound The Alarm" by volunteering to help install smoke detectors in Anchorage, Fairbanks, and Rural Alaskan Communities. Every day, seven people die in home fires, most in homes that lack working smoke alarms. Sadly, children and the elderly disproportionately lose their lives. 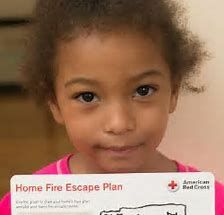 The American Red Cross wants to improve the odds and save lives- that’s why we launched our Home Fire Campaign in 2014. A critical part of the campaign is Sound the Alarm, a series of home fire safety and smoke alarm installation events across the country.